and for the means by which they are provided. in this season of life, I give You thanks. and contribute to the needs of others. all whom I encounter here. is the strongest evidence of my affection for You. as an emissary of Your Kingdom. as service first rendered unto You, O Christ. Join a Small Group This Spring! Needle's Eye has more than 60 small groups all around Richmond and nearby suburbs and its a great time to join a group where you can find meaningful friendship, greater connection to God and His Word, encouragement and prayer. Click on the links below to see groups actively seeking new members who would love to welcome you. If you have further questions, contact our Director of Small Groups and Operations, Jordan Maroon, at jmaroon@needleseye.org. Second Half is a men's ministry of Needle's Eye made up of seniors and retirees living in their "second half" after years of living out their first-half careers. Men don't usually share their lives with each other, but Second Half creates an atmosphere of camaraderie, trust, and understanding of each others' challenges, both physically and spiritually. Through Christian books and video studies, our men share their faith and their challenges as followers of Jesus Christ. They are currently viewing the video/book series "If You Want To Walk On Water You Have To Get Out Of The Boat." It is a unique and blessed ministry for men. St. Giles Church: 8:30-10 am on the 2nd and 4th Wednesday of the month. Contact Gordon Prior (hipriority7@gmail.com) for more details. Covenant Woods: 9-10:30 am on the 2nd and 4th Thursday of the month. Contact Gordon Prior (hipriority7@gmail.com) for more details. West End Assembly of God: 9-10:30 am on the 1st and 3rd Thursday of the month. Contact Tony Wilson (wilsontony540@gmail.com) for more details. Urbanna, VA: 7:30-9 am on the 2nd and 4th Monday of the month. Contact Bob Fitch (BobFitch11@gmail.com) for more details. Some of our women's groups are actively seeking new members and would love to welcome you! Feel free to contact the leaders below or simply show up one week. Tuesdays at lunch Downtown: Sallie Holmes and Rebecca Delano lead this women's group on Tuesdays from 1-1:50 pm downtown at the Bank of America Financial Center in the 1st floor cafe. They do a great job of welcoming new ladies and are involved in a study of the Parables. Thursday evenings in Carytown: Debbie Bannister leads a 5:45-7 pm women's group at the Needle's Eye Ministries office. This wonderful group of ladies is just coming out of a brief winter hiatus so now is a great time to join! Some of our co-ed groups are actively seeking new members and would love to welcome you! Feel free to contact the leaders below or simply show up one week. Prime Professionals - Tuesday evenings in Carytown: This small group is for those in their late 30s-40s looking for community and to serve God in their personal and professional lives. Beginning on January 22nd, Primes will reconvene with a Right Now Media study on “Hope.” Led by Jennifer Jones, Prime Professionals meets from 6:30-8:30 pm (6:30-7 is fellowship time; feel free to bring your dinner) at the office of Needle’s Eye Ministries. Wednesday lunchtime in Midlothian: This is led by John and Karin Williams and meets from 12-1 pm at Process Engineering Products. They go deep into God's Word and are very prayerful and encouraging. Is capitalism redeemable? Is capitalism worth redeeming? How can we work against the excesses of capitalism to salvage the good? How can Christians help bring morality back into economics? Last fall, more than 150 attendees from around Richmond joined us for a conference with Rev. Dr. Kenneth Barnes, an expert on faith, work and economics. Dr. Barnes is returning this fall to speak from his exceptional new book "Redeeming Capitalism." Paul S. Fiddes, director of Love in Religion Project at Regent's Park College in Oxford writes, "This remarkable and timely book by Kenneth Barnes is essential reading for all those who are disturbed by a moral vacuum at the heart of business or who want to know how the Christian faith can speak into our present financial crisis." Join us the morning of September 22nd, 2018 as we hear Dr. Barnes' teaching and discuss tangible steps each of us can take; optional book signing to follow. More details and registration to come soon! Work with one of the top Real Estate teams in the Richmond area as the listing specialist. We are seeking someone who works with a sense of urgency, extreme detail, can meet deadlines, multitask and take initiative. We sell over 250 homes a year and have a fun, but busy office environment and carry anywhere from 20-40 active listings at any given time. We are launching new mentoring groups all year long! All of us want to grow personally, professionally, and spiritually, but life is full of challenges we feel ill-equipped to handle alone. Wise decision-making and good friends can help, but often what we need is someone older and wiser who has been through our circumstance. Throughout the Bible, we see examples of older believers mentoring (discipling) younger believers and essentially saying, as Paul did, “Follow my example, as I follow the example of Christ” (1 Corinthians 11:1). As we try to grow as Christ-followers, we are exhorted to seek out the wisdom and life-experience of our elders. Needle’s Eye Ministries is fortunate to have a huge pool of potential mentors who can attest to the faithfulness of God through every life circumstance. We want to connect YOU to a great mentor! Through short-term book studies (around 6 meetings) a few young professionals will be grouped with two mentors (all the same gender). Between meetings you will read sections from one of the top books on maturing as a man/woman of God. Your mentors will listen to your response to the content, ask questions, and share about their own experiences. That’s it. Simple, short-term, but rich. If you feel a connection with one of the mentors when the group concludes, you can approach them about potentially continuing to meet. Because there is limited space in each mentoring group, we want to make sure everyone is seriously committed. The mentors are picking the times and locations that work for them. We will continually publicize new groups, so don't worry if one does not fit your schedule. If you are interested in participating in a mentoring group, fill out the form below for our Small Group Coordinator Jordan Maroon. Doing so will get you into the pool for all future mentoring groups. If you are interested in being a mentor, email Jordan (jmaroon@needleseye.org) for more information. Are there groups we have publicized that fit your schedule? If so, please list. Welcome Karen Cunningham to the Needle's Eye team! Karen Cunningham is a native of San Diego, California but spent most of her formative years in the New Orleans, Louisiana area. She is a graduate from Wheaton College in Wheaton, Illinois, where she majored in communications and marketing. Karen has varied marketplace experience including, but not limited to insurance, human resources, and operations. Her most treasured responsibility, however, has been to take care of her five children - Joshua, Nathaniel, Jacob, Meg, and Asher (as well as Dave, her husband)! Karen is amazed at the way God orchestrated her joining the team at Needle’s Eye. His timing, details, and synchronization were perfect and confirmed that Needle's Eye Ministries is the place where God would have her serve as Office Manager. She is excited to see God working in and through Needle’s Eye and is looking forward to what God has in store for this ministry. To welcome Karen to the team, you can email kcunningham@needleseye.org. Coming to Richmond last year on a fiancé visa most definitely complicated the job search process for Averill Byrd. In the Philippines she was a speech writer in the Senate. She had a master’s degree. But here she struggled to get a job at any level! Averill found Needle’s Eye’s Career Transition Group – an open group for those in the job search, and for the first time she was encouraged. Today Averill has a great job IN HER FIELD. She’s so thankful to those who donate to Needle’s Eye Ministries. Will you ask the Lord if a bonus year-end gift towards life-changing outreaches through Needle’s Eye is where He would have you invest His money that He entrusts with YOU?! This position reports to the Dean of the Cathedral, provides administrative and secretarial support, and assists the Cathedral Dean and Parish Council in carrying out the tasks and obligations of the Cathedral. Part time, 25 – 30 hours per week, flexible hours Monday-Friday between 9 a.m. to 3 p.m.
Answer and screen phone calls, greet visitors and parishioners, process incoming/outgoing mail. Assist with managing appointments for Cathedral Dean, maintain Cathedral calendar. Database and recordkeeping: maintain current Cathedral membership and mailing database; manage weekly volunteer positions in support of Cathedral services, events and activities; maintain a current list of parishioners home bound or in health/support communities. Record vital Parish records such as Baptisms, Weddings, etc. ; prepare related applications, certificates and correspondence. 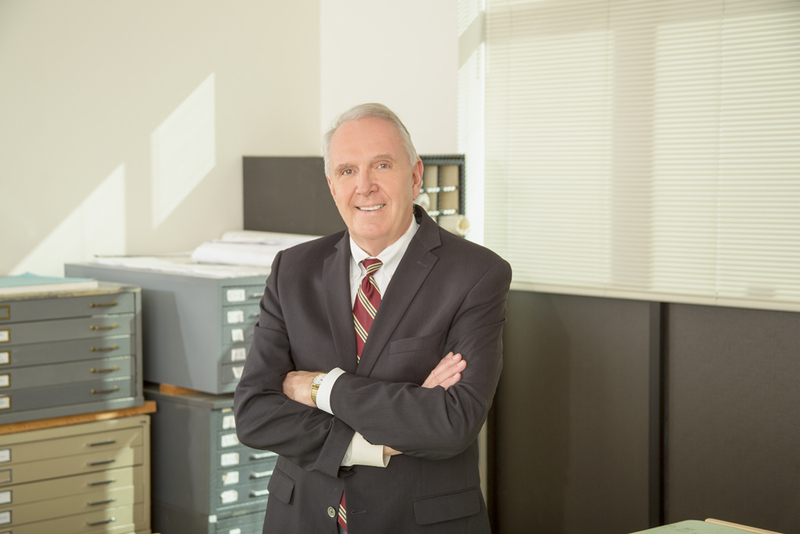 Assist and prepare correspondence for Cathedral Dean. Maintain all documents of official cathedral meetings, assist Cathedral Dean and Parish Council in coordinating and communicating meeting information and documents. Layout and prepare weekly and special occasion bulletins. Layout and prepare monthly newsletters, and deliver to Sandstone Post Office for mailing. Administer use of the security system. Provide Notary Public services for Cathedral staff and parishioners. Assist with special projects and events. 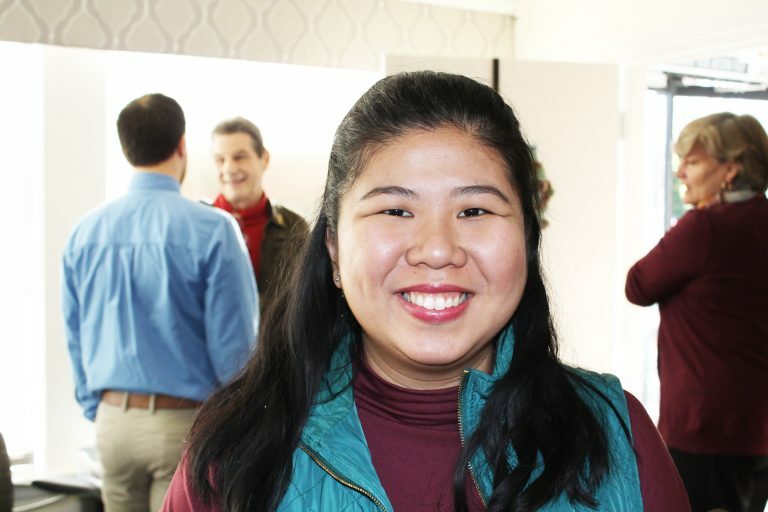 Strong computer skills and experience in Microsoft Office, church database software, publishing software, and Adobe InDesign preferred; assist with maintaining cathedral website. Strong skills in the use of standard office tools (copy machine, typewriter, postage machine, etc.). Ability to work with and support of individuals and ministry teams. 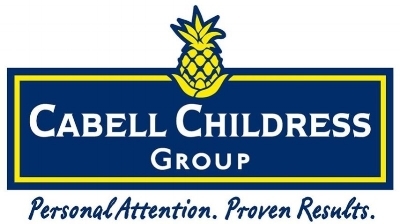 Do you have experience working with children in an educational setting? 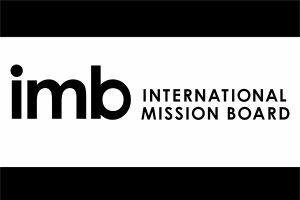 The International Mission Board, a nonprofit religious organization in Richmond, VA, is hiring temporary classroom assistants to help in training children of missionaries during orientation and debriefing programs in Rockville, VA! • Overseas experience is a plus but not required. Please apply online at: www.imb.org/us-jobs under Temporary / Substitute Classroom Assistants. How can a redeemed understanding of capitalism lead to economic growth and human flourishing? What can biblical covenants teach us about better employer-employee relationships? How can spiritual capital energize organizational growth? How does an emphasis on purposeful work increase employee engagement and allow all stakeholders to flourish? Join Needle's Eye Ministries and Richmond business, government, municipal, and faith leaders for this invitation only event as Dr. Kenneth Barnes, an expert on faith, work and economics and the author of Redeeming Capitalism, and Barry DuVal, President and CEO of the Virginia Chamber of Commerce, offer a better way forward for your business and our local and global economy. Space is limited. All attendees will receive a signed copy of Redeeming Capitalism. Gold Sponsors: Duff and Cox, Richard and Aggie Cullen, Brenda and David Matthews, and Spinnaker Consulting Group. Silver Sponsors: Tom and Nancy Chewning, Dotted Line Collaborations, Estes Express Lines, and James River Wealth Advisors. “I’m a Christian. Is there any way I can pray for you?” is what Rachael Newmister asked the 80 year-old woman in the grocery store parking lot. The Lord had nudged her to pray for this woman, and sure enough, He knew what He was doing. The woman was going to celebrate July 4th with her family and all were mourning the loss of three grandchildren. The woman was about to cry, moved by God’s love for her in this tough time. Rachael is seeing this play out with Hindu neighbors she is building relationships with. Sometimes God calls us to pray for a complete stranger in a parking lot. Sometimes He asks us to simply love our neighbors and wait. It’s the same in our workplaces. Needle’s Eye Ministries wants to equip you to hear His voice amidst deadlines and emails. We do this through our many marketplace ministries, and November 17-19th we’re doing this by bringing one of the best conferences on faith & work Richmond has ever seen. It’s not every day you find CEOs across Richmond getting together, and it’s ESPECIALLY not every day you see them get together to walk the streets of Richmond and pray for strangers, but that’s something that’s been on Christian Presidents Group member Howe Rice’s heart for some time. Different pairs walked around the city, introduced themselves, and asked people if they’d like any prayer. Some people said “no, thank you,” but some were very receptive. “Howe started a conversation with a gentleman who appeared to be homeless. He was open about the fact that he didn’t know what he believed. He wasn’t sure if he believed in God. Howe took time to walk him through some Scriptures, ask him what he believed. We probably talked with him for about 15 minutes and really got down to the heart level,” said Tim Ryan. At one point Tim and Howe were walking around praying to the Lord, asking Him, “Who should we talk to? Who do you want us to approach Lord?” They came across a man who looked busy moving boxes, so they kept going. Then Tim felt a tug to turn around. If you know a Christian President looking for other presidents or CEOs serious about being the hands and feet of Christ then be sure to tell them about our Christian Presidents Groups.